You can never be too careful when it comes to driving, especially if you own a large vehicle like an RV. Blind spots can cause serious accidents that can lead to injuries for yourself and others, as well as huge repair bills. These days, there is affordable technology available that eliminates blind spots, making your commute significantly safer. A bird's eye view backup camera from Tadi Brothers allows you to easily monitor traffic and other objects behind you, ensuring that you do not accidentally hit or back up into someone or something. So why should you choose our bird's eye view backup camera? For starters, we have been in this industry for many years, and we recognize real quality and performance. Our customers know that they are going to get the most value for their money when they shop for products at Tadi Brothers, and this backup camera is certainly no exception. This camera is the clear choice for premium quality, durable construction, modern technology, and ease of use. 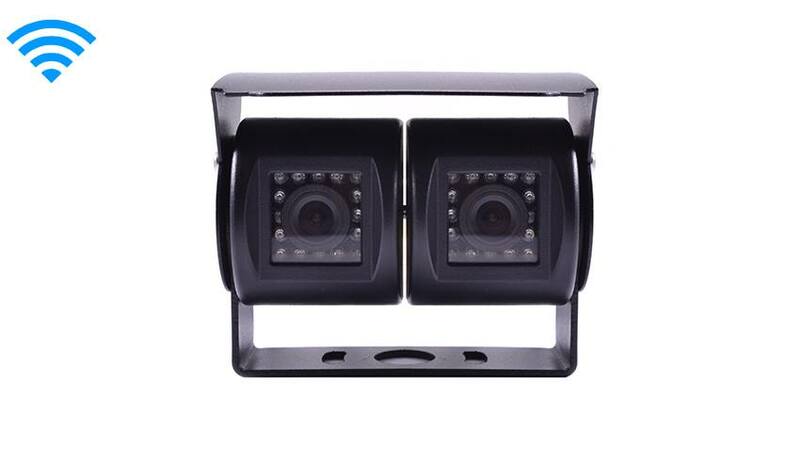 The waterproof casing is made to withstand a beating, the dual CCD lenses provide a detailed, vivid picture quality, and the automatic night vision ensures clear monitoring at all light levels. You don't need to be a technical expert to be able to install our bird's eye view backup camera. This camera includes a 15 foot installation cable for your convenience. Many RV owners use this camera because the two lenses allow you to point one at the hitch and the other on the road behind you, providing more coverage. Simply press Video 1 or Video 2 to switch between them on the monitor. Ease of use and a straightforward installation makes it possible for anyone to enjoy the benefits this camera provides. To learn more about this exceptional dual rear view camera, do not hesitate to call one of our experts at (866) 966-5550 ext. 2. We have staff standing by 24/7, so feel free to get in touch anytime. The Tadi Brothers guarantee means that you have a full 30 days to return your camera for a full refund if you are unsatisfied in any way. We stand behind our quality backup cameras, and we are confident that you will be more than pleased with your purchase. Place your order today!